LAHORE: Aqeel Khan and M. Abid qualified the Nayza All-Pakistan Open Tennis Championship men’s singles final after defeating their respective opponents in the semi-finals played here at the PLTA tennis courts on Friday. -In the first semifinal of the day, M. Abid outclassed Muzammil Murtaza 6-3, 6-1. -In the second semi-final Aqeel, on the other hand as usual played outstanding tennis against Shahzad Khan and toppled him by 6-4, 6-4. Both Aqeel and Abid will vie against each other for the men’s singles title today (Saturday). In the ladies singles, Ushna Suhail and Sara Mansoor qualified for the final after edging past their respective opponents in the semi-finals. 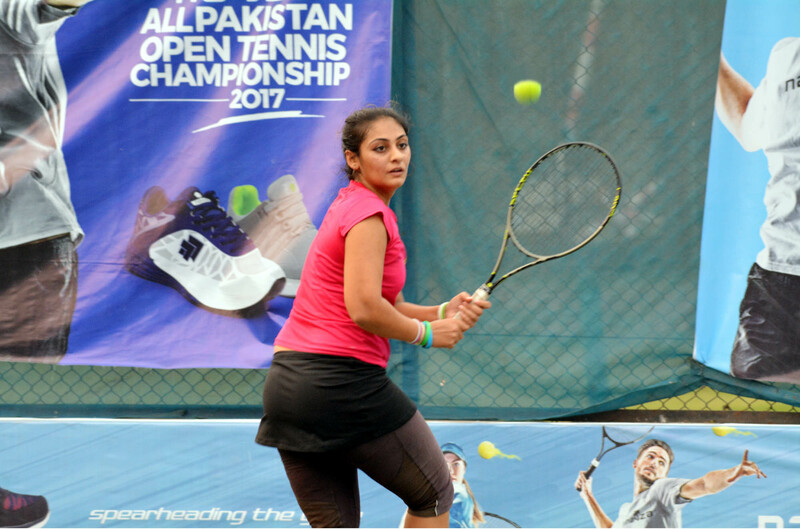 – In the first semi-final, Sara Mansoor thrashed Noor Malik, daughter of former Davis Cupper Rashid Malik, in straight sets 6-1, 6-1. – The second semi-final was contested between international tennis player Ushna Suhail and former No 1 Sarah Mehboob. Ushna emerged as match winner after trouncing Sarah in straight sets 6-4, 6-2. – Abid/Usman Rafiq thrashed Abdaal Haider/Malik Abdul Rehman 6-2, 6-0. – Aqeel/Shahzad defeated Muzammil/Mudassir 6-1, 7-5. The winners qualified for U14 semi-finals.